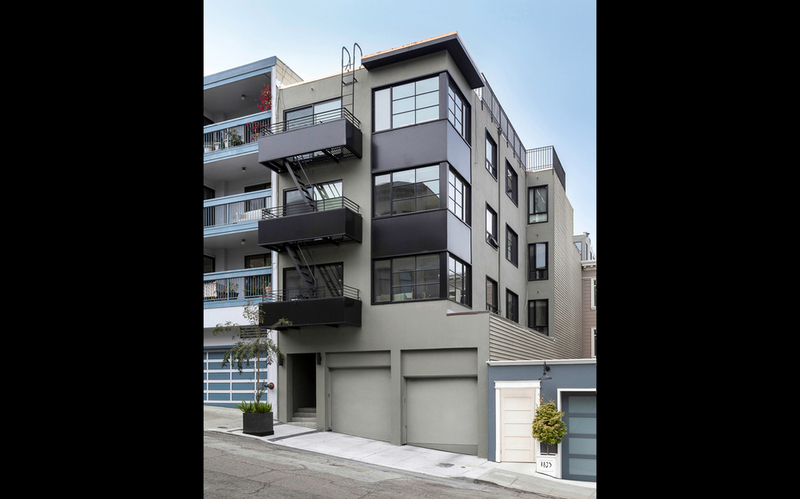 The residential apartment building at 1831 Grant Ave was nothing more than a generic stucco box, typical of many structures built in San Francisco in the late 1960’s. 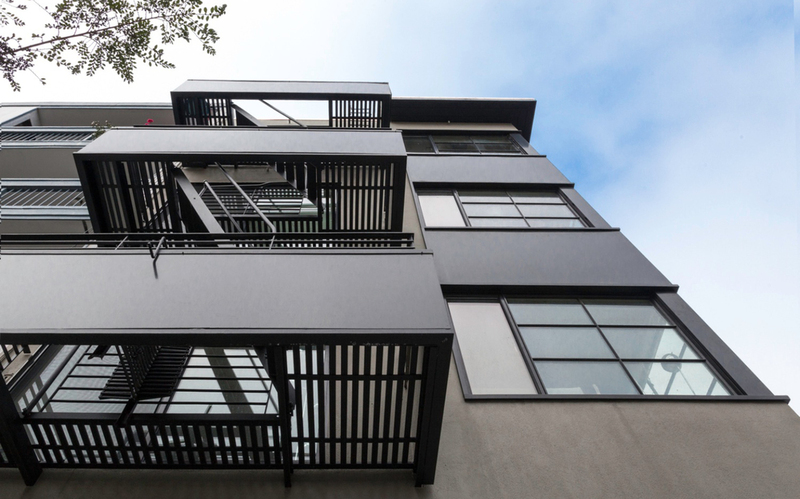 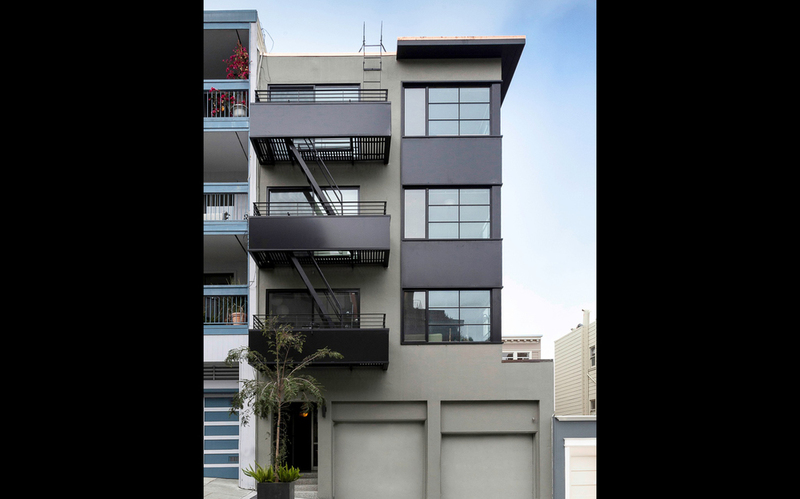 Together with architects Maura Abernethy and Erica Severns, Webb Construction updated the exterior by changing the windows and recessing them into the wall cavities, cladding the fire escape with steel panels, and adding roof overhangs. 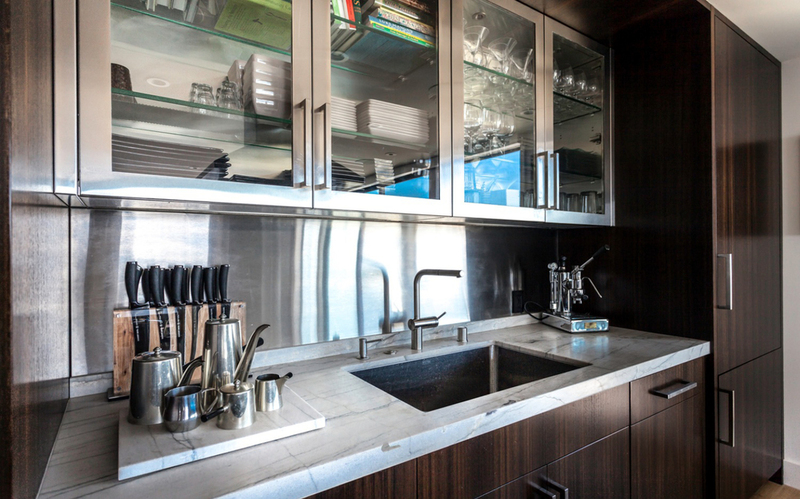 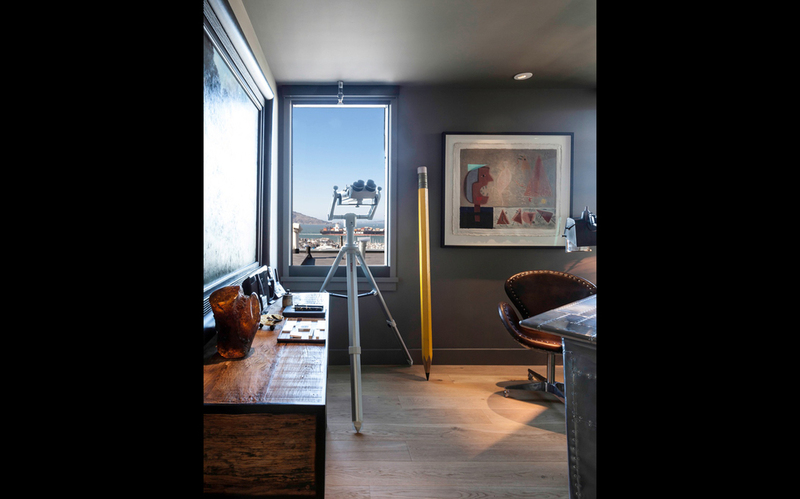 The Interior remodel entailed a complete transformation of the owner’s unit. 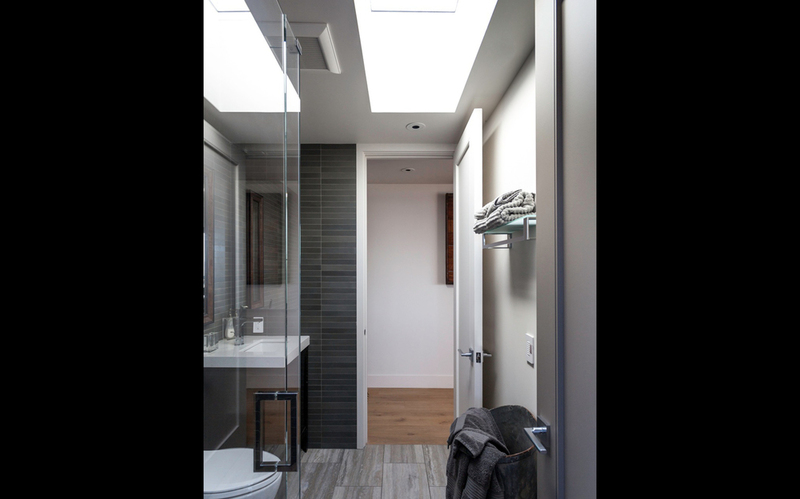 Sacrificing interior square footage afforded the opportunity to add floor to ceiling glass as well as exterior deck space.